Welcome back! Today we spent a lot of time understanding that using synonyms and antonyms can build our vocabulary and make our writing better. 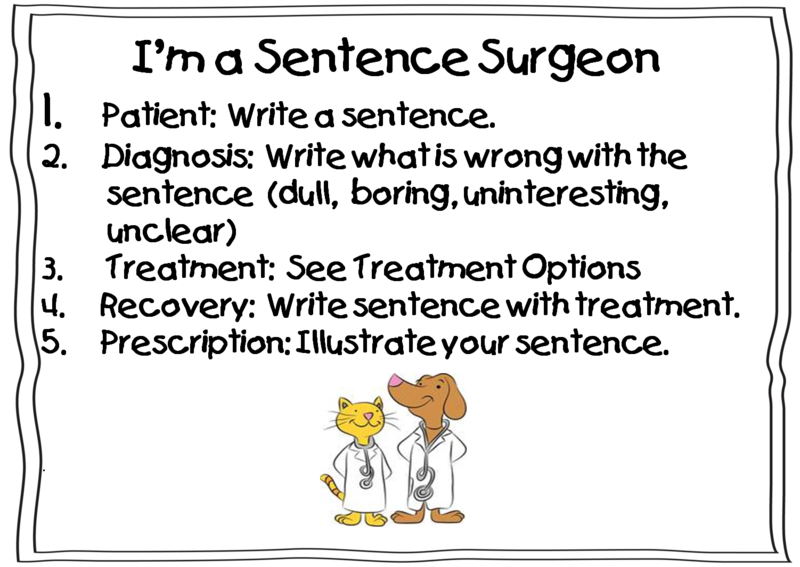 We decided that what better way to fix up a sentence, than to take it to the doctor, the "Sentence Surgeon!" Earlier this year we did an activity where we performed surgery on words to make contractions. Knowing the kids had a ball with that, I knew they would love cutting words out of sentences and replacing them with others. 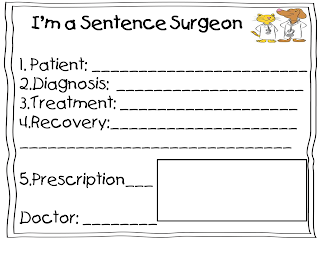 Each kiddo (doctor) was given a sentence (patient) and the surgical tools (scissors, tweezers, bandaids, gloves, mask, and a doctor coat (complete with name tag) to cut out one of the words. They had to choose whether they wanted to replace that word with an antonym or a synonym. Surgeries were successful! Phew!! 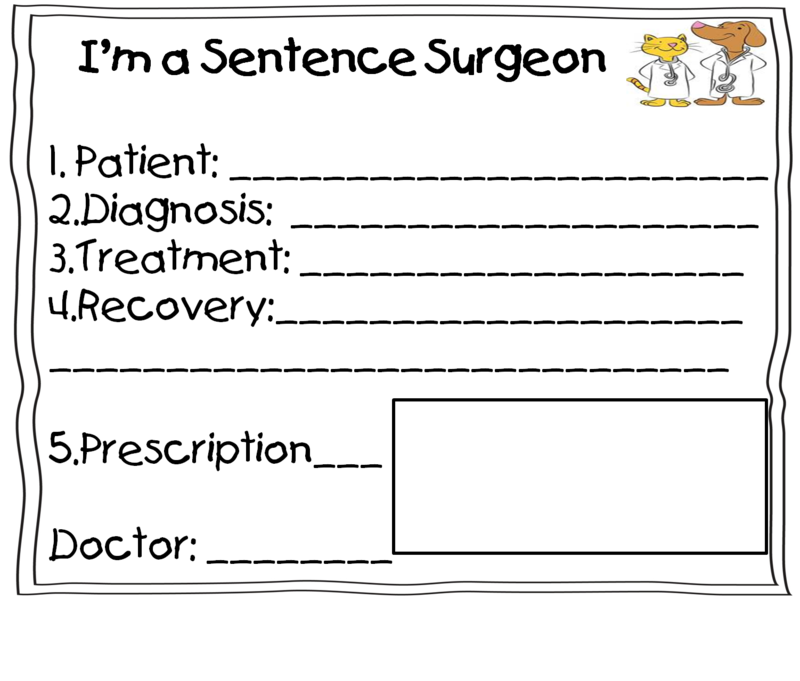 I'm a Sentence Surgeon Printables? Click here. Thanks for stopping by!! 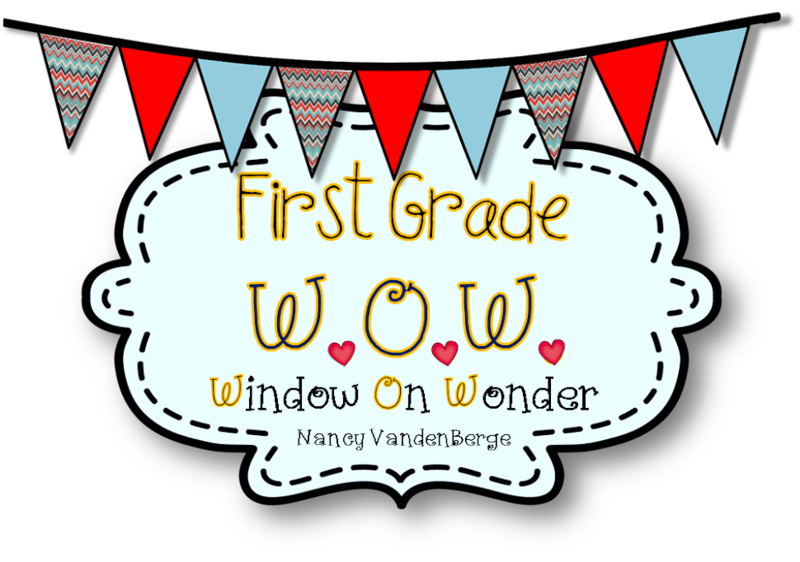 Take another peek into our window sometime!! I just came across your blog. Love your ideas. I'm a new follower. I just did contraction surgery at the end of the year and the kids loved it. 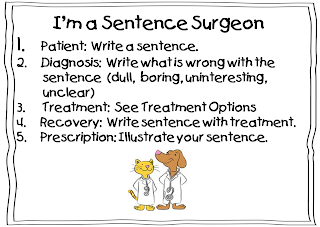 I can't wait to try sentence surgery. I love this idea. I am going to tweak it a little for what we are currently doing but I love this idea. Where did you get all those lab coats. Adorable! My husbands mother is a dentist so I am set on masks and gloves. What a great way to have children learn while joining pleasure and duty ! I just love your great work, thanks for sharing it !